Online bidding has gained popularity in recent years and has become a widely acceptable method of purchasing real estate and auction items around the world. There are several ways that online bidding may be made available to potential auction buyers. Live Online Bidding – Live online bidding allows buyers to participate in a live auction without actually traveling to the where the auction is held. While the auction is being conducted on site, it is simultaneously being broadcast over the internet. Bidders who have pre-registered compete directly with bidders onsite via online bids. They can follow the live auction via an audio feed, video feed, or text messaging (depending upon auction terms) The auctioneer accepts the pre-registered internet bidder’s just as though the bidder were actually present. Online Only or Timed Online Bidding – When a property or item is being offered with online only bidding takes place over an extended period and all bids are placed online. A live on-site auction does not take place in this format. The auctioneer monitors all bidding throughout the bidding period (typically a few weeks). Bidders register to bid for a specific property and can place bids at their convenience online. For added convenience, bidders have the option of entering a “maximum bid” which allows the computer to automatically bid anytime they are outbid. At the deadline, the high bidder is declared by the auctioneer. 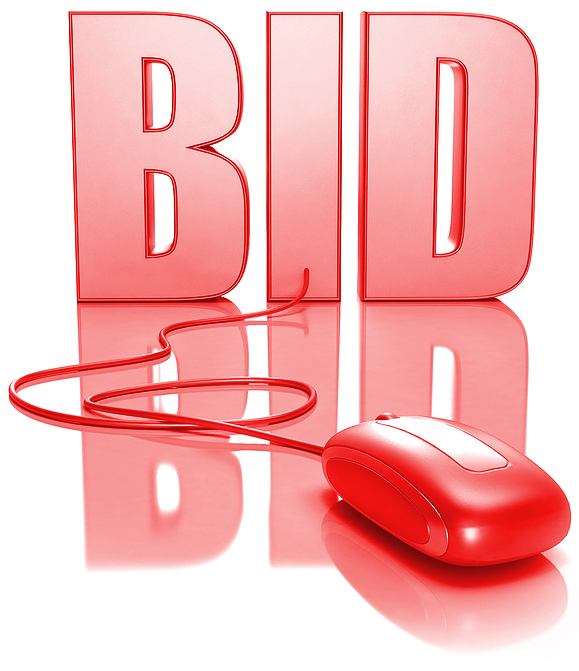 Pre-Site Online Bidding – In some instances, online bidding is used during one phase of the auction. For example, a property or item may be available for online bidding for a specified time prior to an auction event. When the auction event opens, the current high online bid becomes the opening bid. If onsite bidders advance the bid, online bidders may continue to participate in the live bidding via the internet if that option is allowed for that specific auction. While online bidding is widely accepted and very popular, some people are simply not comfortable bidding online. Know that, Lewis Auctions make themselves available to assist any bidder that needs assistance bidding online. Absentee Bidding – If you can’t make it to the auction we also provide Absentee Bidding. Click here to register. Read the Absentee Bidding Terms and Conditions here. NOTE: Online bidding terms can vary somewhat from traditional auction terms. Always be sure to read all auction terms carefully. Online bidding also requires pre-registration so plan ahead!